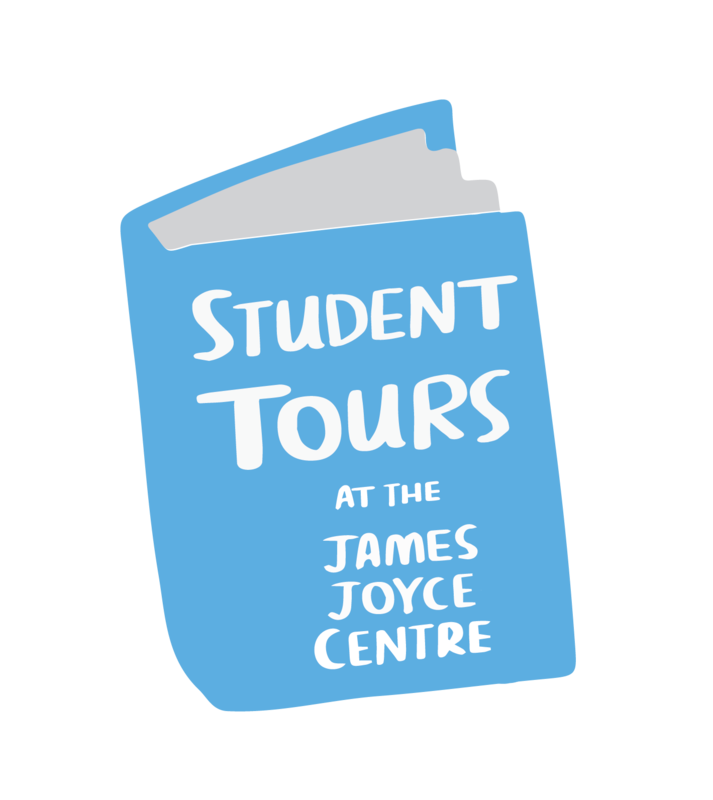 The James Joyce Centre are happy to invite groups of all ages and aptitudes to take part in our specially designed student tours. These last approximately one hour and consist of an in-house presentation followed by a short walking tour. For more information on the options available, see the list below. We are also happy to tailor our tours to suit the interests of your group – just get in touch and let us know what you’d like! 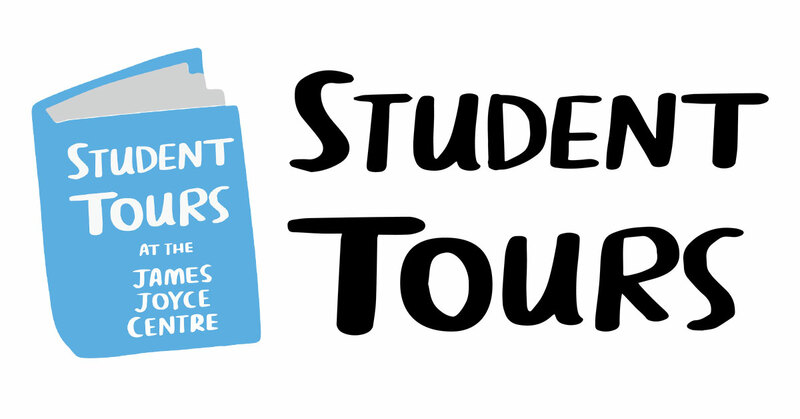 Student tours cost €8 per student (minimum group size of 10). Leaders accompanying the group are free of charge. To book, contact us via email or call us on +353 1 878 8547. Don’t know the first thing about Joyce? Wondering what all the fuss is about? Or do you just want to expand your knowledge of Ireland’s most recognisable literary figure? The James Joyce Centre is proud to welcome visiting groups to take part in Introducing James Joyce, a student-focused educational experience exploring the life and work of the author in an accessible and informative way. Consisting of a twenty-minute in-house presentation followed by a short forty-minute walking tour, Introducing James Joyce will provide valuable insight into Joyce’s major works while also giving students the chance to explore the city that inspired the author. We’ll talk about Joyce’s life in Dublin, his literary and political influences and of course the books that made his reputation as one of the most talented and radical writers of the last century. Stops on the tour include Joyce’s alma mater Belvedere College; the inner city neighbourhood of Ulysses protagonist Leopold Bloom; and Hardwicke Street, where Joyce lived for a time and went on to immortalise in his fiction. We’re sure students will be intrigued by the fascinating story of the young Dubliner who would change the face of world literature – we hope they’ll even be tempted to delve into the work for themselves! James Joyce’s Dubliners is widely regarded as one of the greatest short story collections ever written and is studied in classrooms and universities the world over. 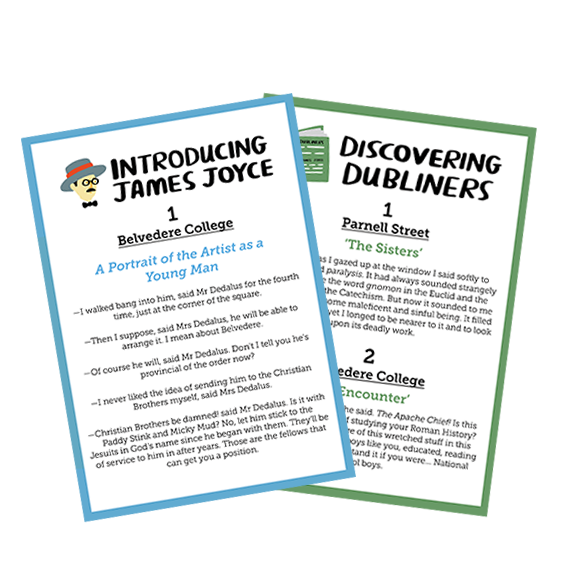 The James Joyce Centre is proud to welcome visiting groups to take part in Discovering Dubliners, a student-focused educational experience exploring this accomplished but accessible work. Consisting of a twenty-minute in-house presentation followed by a short forty-minute walking tour, Discovering Dubliners will not only give students valuable insight into the writing, publication history and central themes of the collection, but will also bring the stories to life on the streets of the city. Stops on the tour include Parnell Street (formerly Great Britain Street), where the collection opens; Hardwicke Street, the setting of ‘The Boarding House’; Belvedere College, Joyce’s alma mater and a location alluded to in a number of stories in the collection; and the Gresham Hotel, the setting of the last and most memorable scene of the final story ‘The Dead’. In addition to exploring the collection itself, students will also learn about Joyce’s own life and experience of growing up in Dublin. Our presentations are illustrated and animated. All participating students will also receive a handout featuring quotes from Joyce’s work. The students will be asked to volunteer to read from the handouts at relevant stops during the tour. A group consists of 10 or more persons. Group leaders are free of charge up to a maximum of one leader per ten persons. Groups must book in advance – at least 7 days’ notice is required for group admissions and four weeks’ notice for walking tours or workshops, subject to availability. Groups must be accompanied by a group leader for the duration of the visit/tour. Group leaders are responsible for their group throughout the duration of the visit/tour. Maximum group size is 25 persons. Proposed groups over 25 persons will be split into smaller groups to visit separately at different times. The James Joyce Centre reserves the right to refuse admission at its discretion. All groups must arrive on time. Failure to arrive at the agreed time may result in a shortened visit/tour, or entry may be refused. For cancellations or significant changes to a booking (e.g. a significant increase/decrease in numbers) please contact our staff at least 48 hours in advance of your visit. Late cancellations or “no shows” will incur a penalty of €50. A single payment for the entire group must be made.